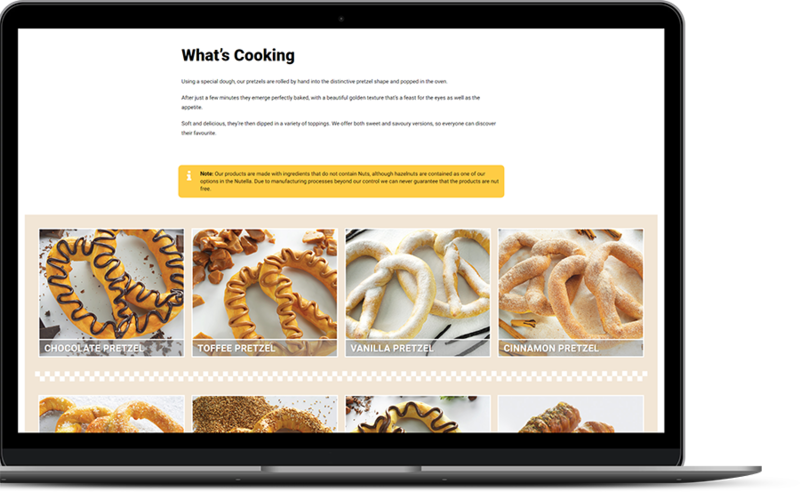 Delicious hand-rolled baked pretzels since 1994. 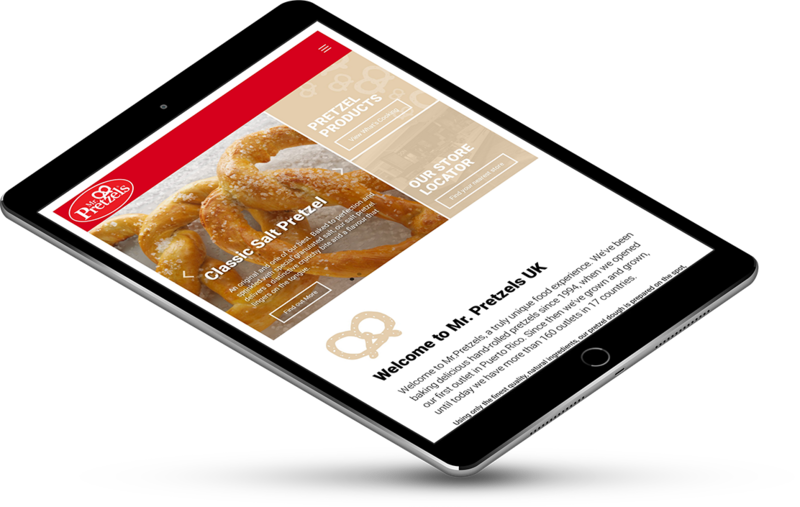 Mr. Pretzels runs multiple outlets across the UK, tempting passers by to stop and enjoy a tasty snack during their busy day. 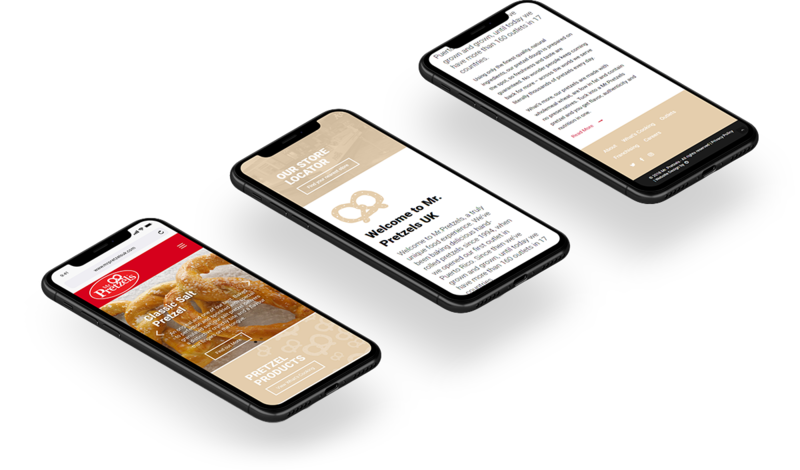 Using only the finest quality, natural ingredients, our pretzel dough is prepared on the spot, so freshness and taste are guaranteed. 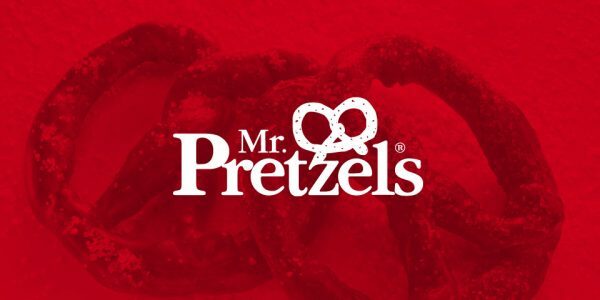 Mr Pretzels UK is part of a big group that have more than 160 outlets in 17 countries. 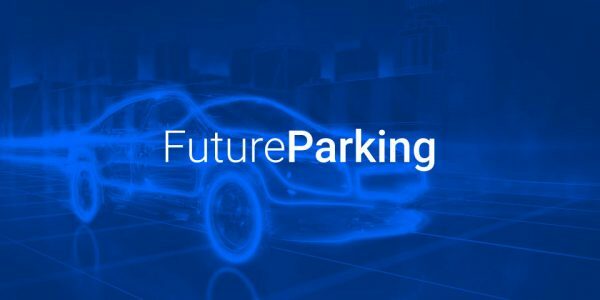 Each country representative shares a generic style in terms of colours and logo, but they can express their unique elements the way they consider fit. 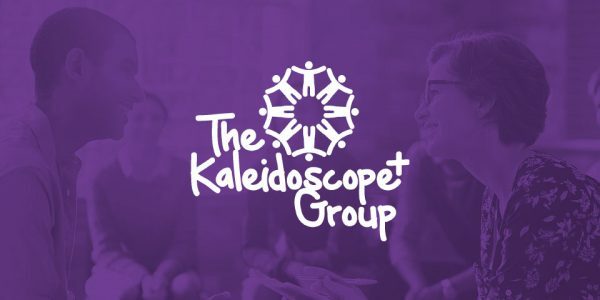 We redesigned their website and tried to promote a simple and modern style that will connect to all age groups and will adjust to all devices. 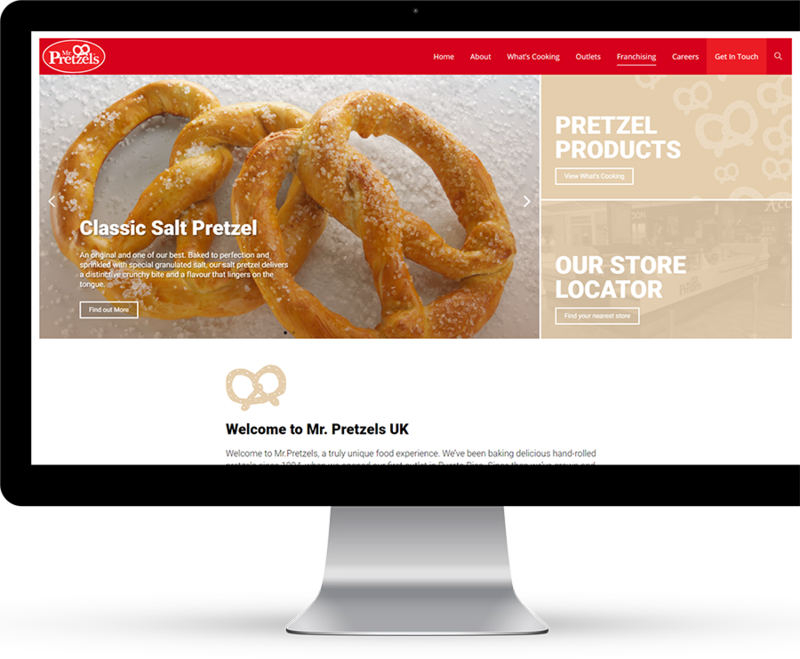 Mr. Pretzels UK has many outlets that sell pretzels all over the United Kingdom and needed a system to help their customers find the nearest outlet. 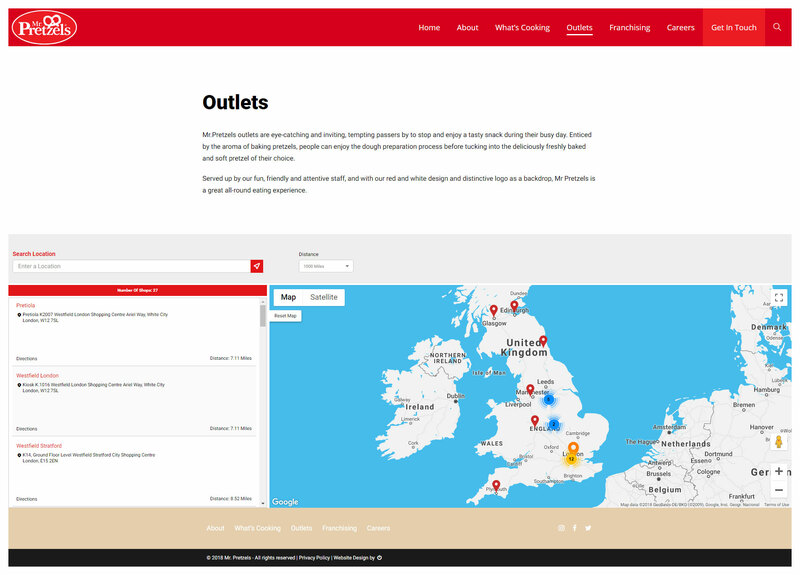 After the redevelopment, the website offers a store locator system that helps find the closest location based on a postcode or website visitor’s location if they allowed it. 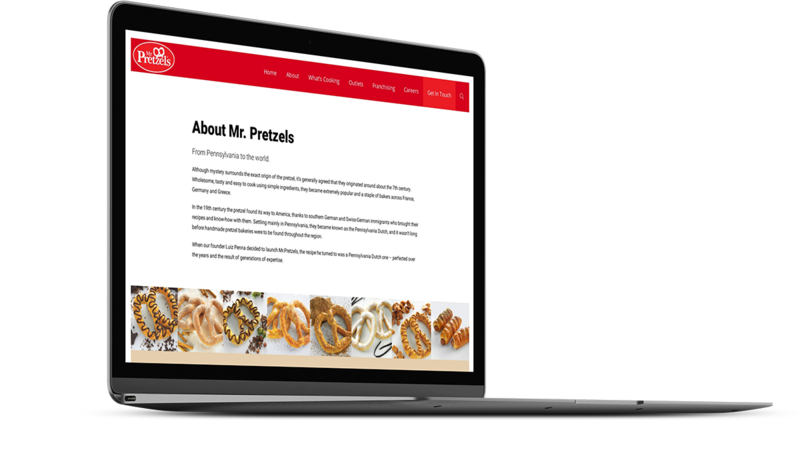 Mr. Pretzels UK needed to keep all their job requests in a safe and organised manner, so each outlet could advertise new positions and receive job applications. 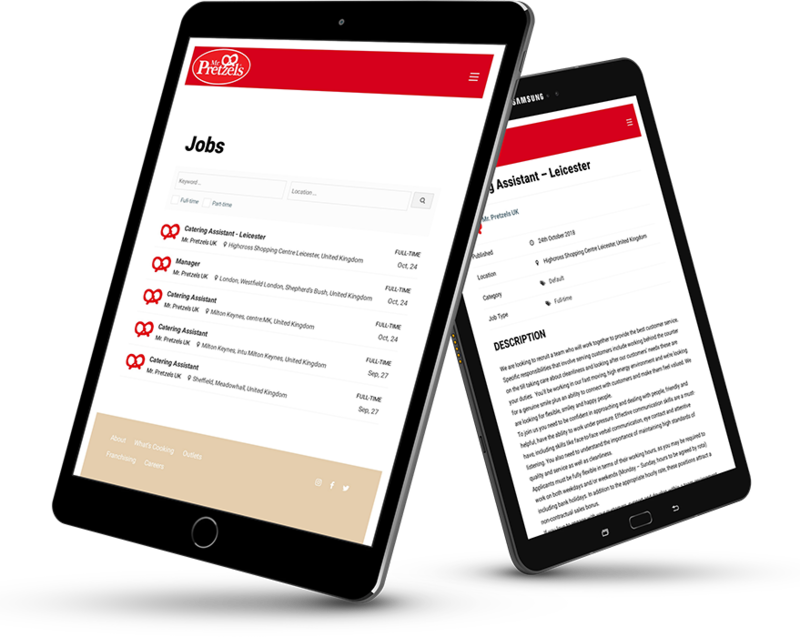 We integrated a job board to the website and customised it to their needs.